When it comes to YouTube in the modern world, there is no longer debate on its viability as a means of spreading information, educating and providing entertainment. Those who have been able to harness its potentials in its different forms have seen a sharp increase in their financial status. Of the several names and personalities who have become YouTube personalities, Steven Suptic is one. Steven is an accomplished YouTuber who has several channels to his name. He has been at the helm of channels like SugarPine7, and MIgHwnT. He has worked across different genres of YouTube videos, from gaming to vlogging to comedy skits, Steven has become a bit of an all-rounder. You will learn more about him and his YouTube career below. YouTube did not exist when Steven Suptic was born and neither was social media where he is now one of many popular personalities. The YouTuber was born on the 6th of February, 1993 as the only child of his parents. Although there is no confirmation at the moment, there is evidence to suggest that Steven was born in Illinois, where he was raised and eventually discovered YouTube, kickstarting a career that has taken him all the way to Los Angeles. There is no information regarding his education but at the age of 18, specifically on the 6th of January, 2011, Steven Suptic registered his first YouTube channel, MIgHwnT. The channel, which is dedicated to Minecraft was the start of a long and so far, successful career as a YouTuber for Steven. He posted Minecraft commentaries and animated videos on the channel and it grew in popularity. He also worked in collaboration with other YouTubers like Aviator Gaming, MunchingBrotato, and a couple of others. Steven then became one of the top gamers on the video platform, which eventually got him an offer from Discovery Digital Networks, a company who runs the YouTube channel, Super Panic Frenzy. The offer took Steven Suptic out of Illinois to Los Angeles, where he continued his integration into the life of a professional YouTuber. By joining the company, he worked alongside Philip DeFranco, who is known for the channel, SourceFed. On Super Panic Frenzy, Steven helped with the creation of contents like gaming videos along with vlogging responsibilities. His time at Super Panic Frenzy came to an end in August 2016 as he moved on to focus on other projects he was running at the time. In 2016, on his personal channel, which he renamed from MIgHwnT to The Steven Suptic Experience, he had two popular series, To Kill a YouTuber and Wild Adventures. In addition to them, he added comedy skits and fun challenges. After his partnership with Philip DeFranco ended with Super Panic Frenzy, they collaborated again on Philip’s personal channel, SourceFed. He was a member of SourceFed from September 2016 to March 2017. 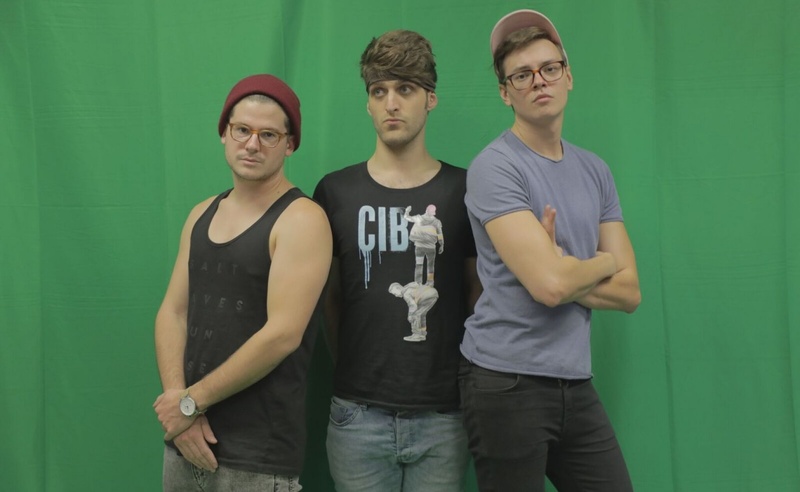 After working with SourceFed, Steven Suptic rebranded his channel again to Sugar Pine 7. He did this in 2017 to great success. The rebranded channel focuses on storyline vlogs and skits. The channel, which has seen over 60 million views adivlong with over 1 million subscribers was bought in 2018 by Rooster Teeth. Alongside the channel, he also has a podcast, Boys Only Club with his friend, Reina Scully. The podcast has grown to over 85 thousand subscribers. Steven Suptic has been a YouTuber since he was a teenager and today, his name has become a recognizable name across social media and the giant search engine, Google. Along with his popularity and brand comes financial clout to match. He has an estimated net worth of over $400,000. His sizeable and enviable net worth comes via ad revenues from his channels and endorsement deals from his sponsors. Success without a loved one to share it with can feel pretty empty. Thankfully, that is not something Steven Suptic has to experience because he is in a relationship with Alyssa Terry, who is one of the actresses on Sugar Pine 7, one of Steven’s YouTube ventures. How long exactly the couple has been together is unknown but they have built a relationship with enough love, affection, and companionship to decide they want to spend the rest of their lives with one another. Steven Suptic and Alyssa Terry are no longer just boyfriend and girlfriend, they are now fiancé and fiancée. When exactly the couple got engaged is also an unknown fact but they have remained together as husband and wife to be. Steven Suptic and his fiancée, Allyssa live together and share two dogs – Littlefoot and Winnie. He has a height of 6 feet 2 inches. Outside of YouTube, he has appeared in the show, Nuclear Family.